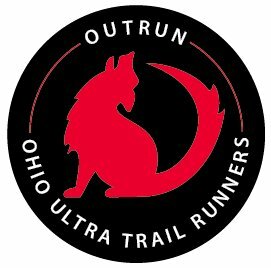 OUTRUN - Ohio Ultra Trail RUNners is a group of Northeastern Ohio trail runners who train for, compete in, and host Ultramarathons and other running events. We are an active group of runners all mostly in the northeast Ohio area who organize both formal and impromptu local runs all around the area. Feel free to join us on facebook (just request to join) and get in on the discussion. My name is Chris Martinez I'm writing you in regards of an invite to Moab, Utah to go trail running. I am the RD for a few trail race events here in my small town, they are: Moab's Red Hot 55k/33k, Moab's Alpine to Slickrock 50Mi, and Amasa 6.5/9.5. These events have been successful the past few years, which has allowed me to pursue my two passions, trail running & guiding. I have since started a guide company called 360 Moab Adventures. At this company I offer guided trail running tours on the local trails here in beautiful Moab, Utah. If you never heard of Moab its a desert landscape surrounded by two national parks, Arches & Canyonlands. The desert is filled with red canyons,ancient rock art, spires, and so many more beautiful geological features. I would like to offer your trail running club a discounted group rate if anyone is interested in trail running in one of the most beautiful places on earth. I offer half-day tours 90min-3 1/2 hr, full-day tours 4hrs-up, and soon multi-sport, multi-day tours. I will give your trail running club $12 off per runner for a full-day tour, its a $100 tour. The full-day includes: transportation, guide, hydration pack, electrolytes, Heed, and a healthy deli lunch. For these full-day tours I would need at least a group of 5 to conduct this tour. I will give $5 off ($55) per runner for any half-day tour it includes everything except the lunch but you receive a healthy snack. The half-day tours I can do as individuals I do not need a group. So with the half-day an a solo club member can be passing through Moab an get their discounted rate. I'm trying to get my company off the ground I thought pursuing trail running clubs/running club would be a start in the right direction. Please contact me with any questions or comments I would love to hear them. I would love to hear what trail runners would like to experience well they are on their vacations. Thanks for your time. "...you can't get lost on an adventure..." Nemi Talli (my son).